A picture is worth a thousand words, so the saying goes. Graphs in particular can bring a table of sterile data to life in a way that simple words cannot. My intention today is to let the pictures do the talking, and keep my words to a minimum. By my count, this blog will be worth over 5000 words! Much has been bandied about recently regarding the deficit and the process of budget reconciliation, so I will focus on that. So why is the health care bill so important, with regards to the budget? That yellow line represents what will happen on our current course. 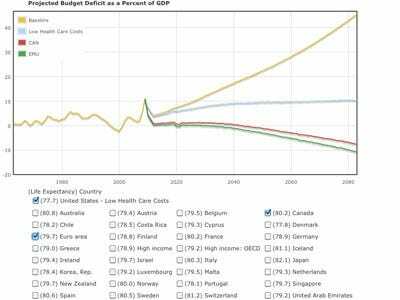 The blue line is what will happen with the healthcare bill, and the red line is what could happen if we went further and implemented a Canadian-type system. There is an inaccuracy with this graph however. 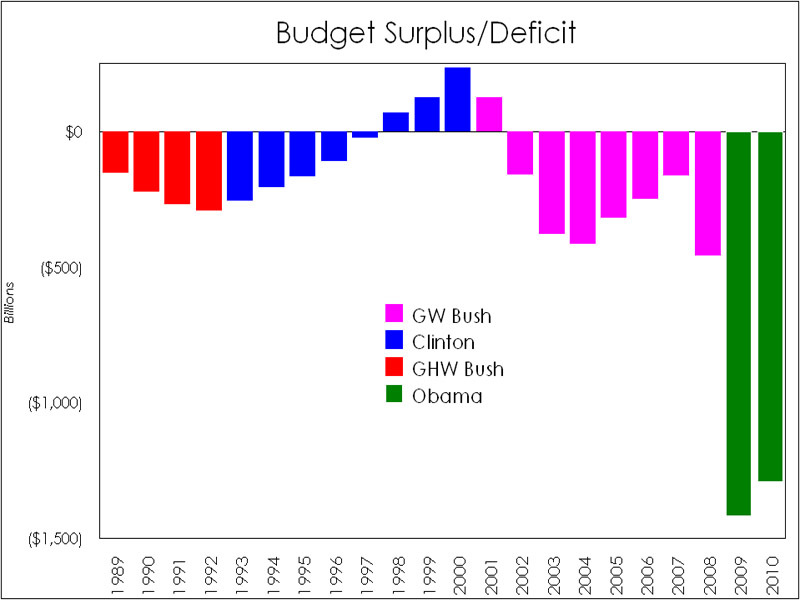 The first year of any presidency is running with the last budget of the previous presidency. 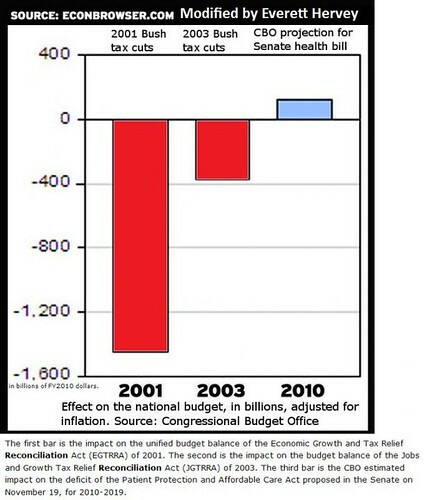 Therefore, that last bar for 2009 was actual Bush's last budget before he left office. The other colors should likewise be shifted to the right. The chart was meant to show why freezing discretionary spending was meaningless in the big picture, but it aptly shows how the interest on our dept will crush us in 40 years if we don't start paying it off.